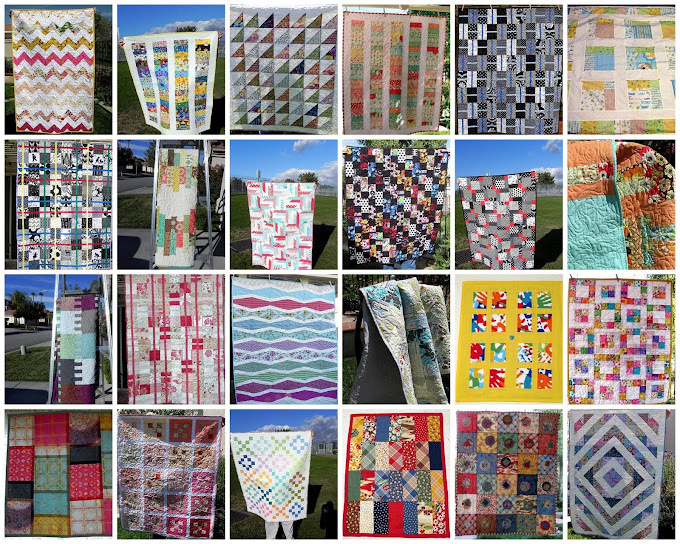 These are the 24 quilts I finished this year. Two are doll quilts, four were gifted to babies, most of the rest were gifted to family. One sold, in my etsy shop, and the rest are waiting for homes. It has been a very productive year. Janice Elaine, you have outdone yourself. What a way to look back over the past year! Waht a great bunch of love! They are all beautiful and I know the people tht recieve them will be thrilled. How do you do it all? That's very impressive! I don't know how you blog, work, and read and still have time for all the sewing. Maybe you don't sleep?